Bermuda's beautiful pink sand and turquoise water! 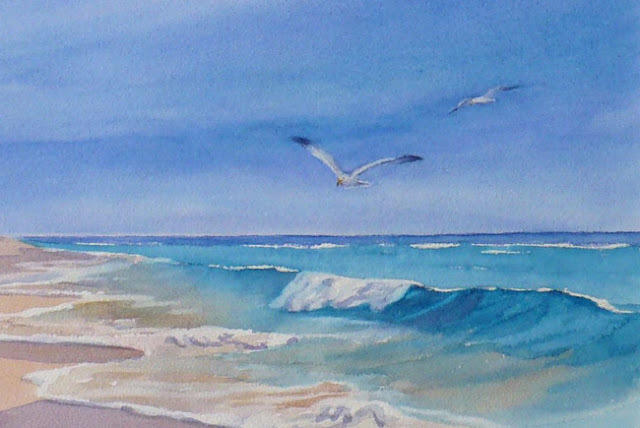 Contact me if you'd like a similar scene painted just for you at the size you like. A gull wheels above the pink coral sand and turquoise water of Bermuda. 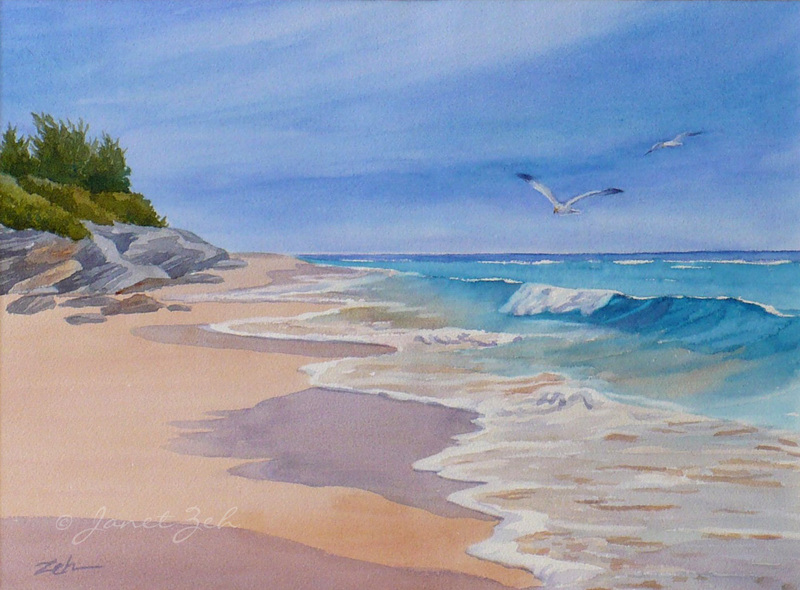 This painting calls to mind pleasant hours spent on a tropical beach. The copyright watermark does not appear on the painting.